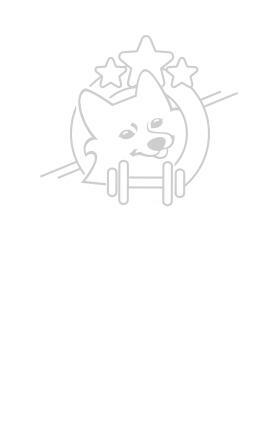 PULLER – is the innovative fitness tool for dogs developed by professional cynologists. 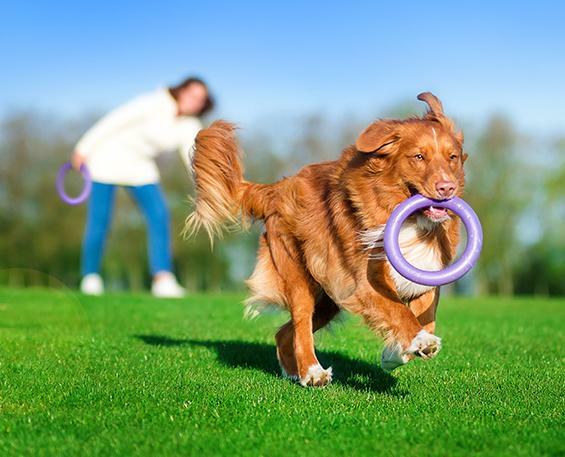 It’s a set of two purple rings that provides daily active training andalso an opportunity for the owner to gain bond with his dog. 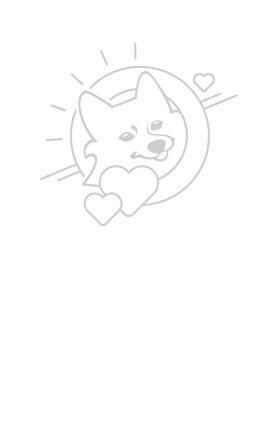 PULLER gained the fame and recognition among the trainers and dog owners due to the unique concept of two rings. 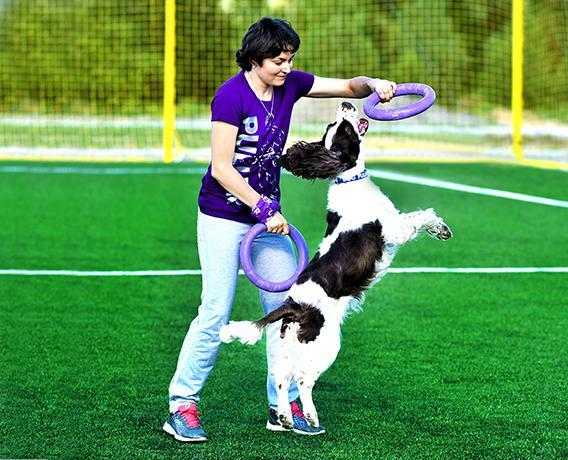 A set of activities and exercises based on two PULLER rings and tandem technique the owner + dog and two PULLER rings, significantly improves the understanding between the dog and the owner. During exercises with PULLER, the dog keeps track of the owner’s actions, and the owner’s proposed action script. The program of contact exercises is created by professional trainers and is easily applicable by any owner. 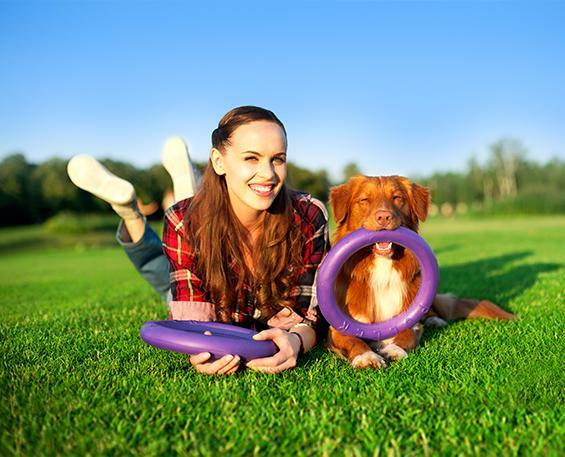 Constant exchange of PULLER rings and effect of cooperation in a tandem of owner + the dog is motivating a pet in the best way for ardor and positive activities. 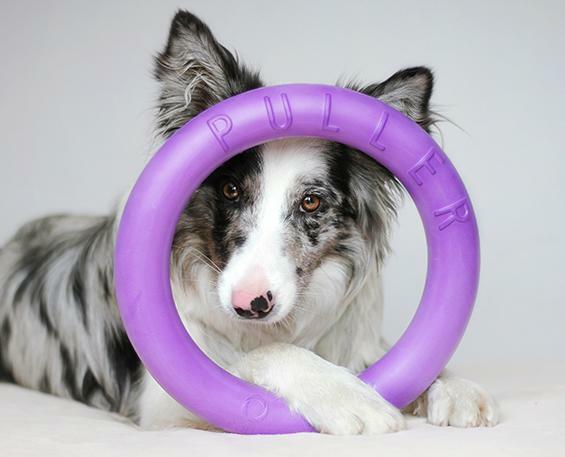 During interactive sessions with a set of 2 rings, PULLER develops better understanding between the owner and the dog. This comfort in the owner’s communication with the dog later appears in everyday life. It’s a new level of communication! 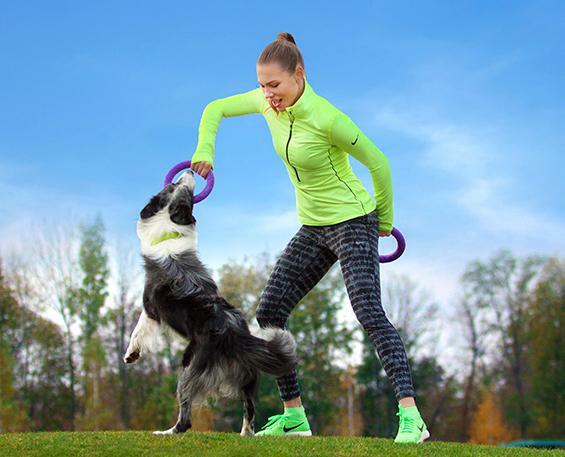 Thanks to the picked-up comfortable set of exercises and a set of two PULLER rings, the dog doesn’t lose interest during the exercises, and vice versa, is increasingly anyway in the process. This kind of excitement only adds the positive effects to the exercises. Why contact exercises with PULLER are important to improve understanding between the owner and the dog? Of course, dogs aren’t born obedient and clever, knowing all the desires of the owner. However, cooperation and understanding with your pet can gradually be developed. obedience. And in the same time – develop intelligence cause during the trainings the dog learns how to make independent decisions. Whether the fitness exercises with PULLER will improve the general obedience of my dog? 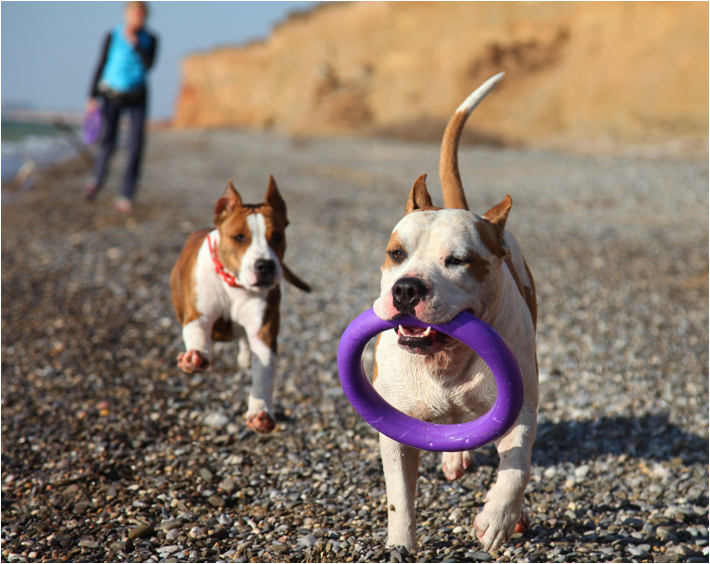 By nature, dogs, even the decorative or companions, need to have the specific physical activity. Otherwise, the lack of physical activity can and will manifest itself in disobedience, damage to property in the house while the owner is at work or there is simply out of home or even aggression against the family and the owner. 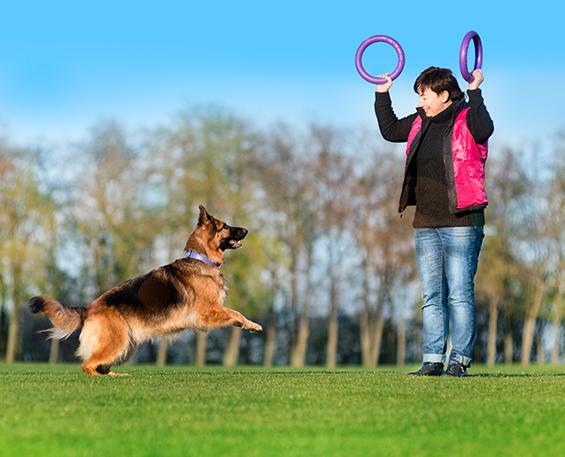 Therefore you shouldn’t underestimate importance and need of a certain physical activity for your pet. 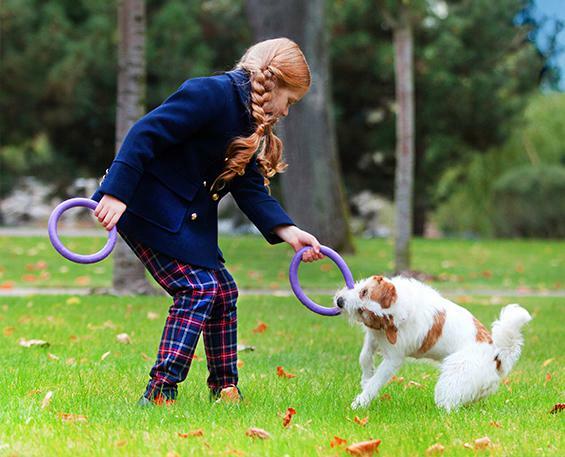 The set of exercises with PULLER allows for the short period of time to give the dog necessary activity, and, of course, to fix concentration of attention to the dog not on a toy, but on the owner that it’s also important for comfortable life of a dog and its owner. Fixing of the command "Come"? 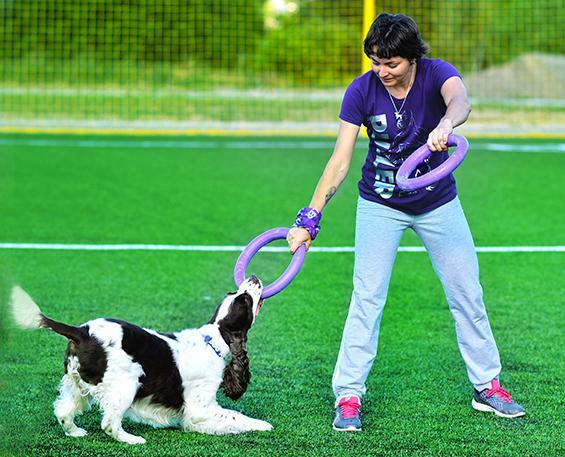 If during the training of exercise “Run” the owner uses, as well as it’s necessary, two PULLER rings, the dog will be happily motivated as soon as possible to do the command “Come”. 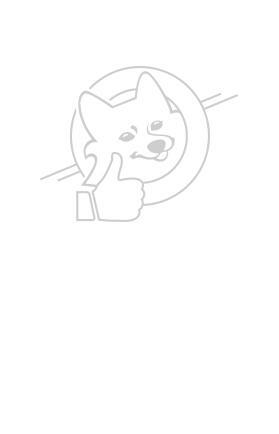 This is necessary at a time when the dog has already caught the first ring of PULLER and the owner shows the second PULLER ring, to pin this action by the command “Come”. Also repeat it when the dog almost came back to the owner. A few repetitions of this exercise-and the result will not wait long. Since the dog receives positive reinforcement in the form of PULLER, it’s motivated to follow commands without prompting. This is an important advantage in positive game motivation. “Pulling” exercise with PULLER – how it can improve understanding between the dog and the owner? Don’t deprive the dog of pleasure, pulling is the manifestation of basic instinct of the dog. Also it gives pleasure to the dog when during pulling he can show the force and endurance. During the correct work of the owner, this exercise becomes even more interesting because resistance force during pulling increases, decreases, – and the dog has a passion. And, of course, during the pulling, the dog actively works with jaws, from which it gets pleasure, and specially developed material of PULLER, helps to do it. Exercises "Jumps"are developed in quality as fitness? 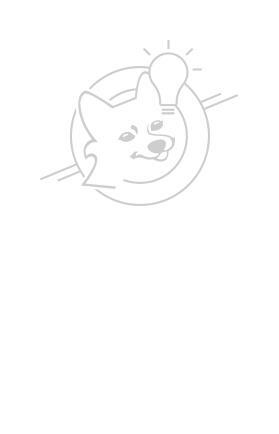 than to develop the contact between the owner and the dog. the owner and his dog. PULLER ring or not, continue the exercise or stop. The full-format jump exercises are the highest spun for both the dog and also for the tandem – the owner and his pet. Try it, and you will understand that this requires the development of the skills of both the dog and his owner.